This is the first time, I am writing my reviews for a beauty blog. 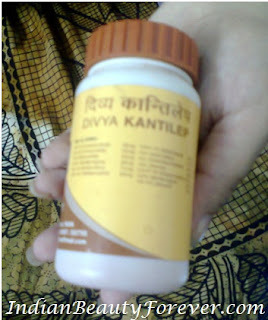 I will review Baba ramdev’s divya kantilep today. Hope you all will like it. 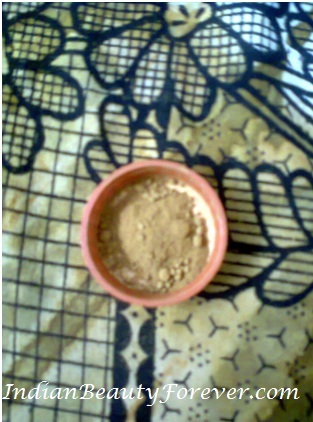 Ingredients:- Lawsonia inermis, Curcuma amada, Rubia cordifolia, Myristica fragrans, Santalum album,Valeriana wallichii, Sphatik bhasma, Acacia catechu, Cinnamomum camphora, Aloe vera, Amomum subulatum, Myristica fragrans, Moti pishti. What The Product Says- Useful in Acne, Vulgaris and skin disorders…comes in yellow plastic jar and brownish round cap….. looks like mud and has a strong odour. My Experience- I know that every girl wants that their skin looks fairer, shinier and pimple-free. However, i think that it should be healthy regardless of the color. And they have been spending a lot of money on different facepacks and creams. I think you all should use this facepack-‘ Divya kantilep’ which is an effective product from Ramadev’s Ayurvedic productions. I have been using this for last 2 years and it has made my skin tone visibly fairer and pimple-free. Though it smells really aweful but it is useful in making your skin texture smoother, glower and helps in preventing acne, vulgaris or other types of skin disorders. 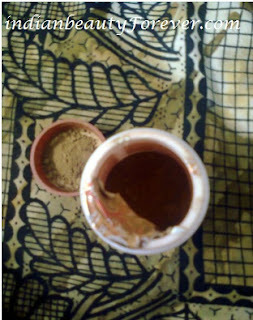 On applying it, you will get a cooling sensation that will help in reducing acne and pimples. The texture of this pack(lep) is like mud and is suitable for all skin types . You can use it with rose water and see the results. I like it very much. Will I Purchase:- Of course yes. It suits my skin and I have really sensitive skin..You can get this product at any of the outlets of Baba Ramdev's medicines. I am very eager to try babaji's product and today itself I saw a banner of a mart selling these near my place. i will definitely try them:). :) :) :) Well said Nitesh !!! I have used this and its good :) though messy in application.. Very nice for acne and pimple free skin,,,as per my experience!! Great !! at least there are some products that actually works on pimples! Really!!! Good to know that.